For the highest performance 4x4 vehicles the Michelin Latitude sport NO is the reference tyre for the Porsche Cayenne and has been developed in partnership with Porsche over a number of years. This edition of the Latitude Sport bares the NO marking on the tyre sideall indicating it's recommended status as original and replacement equipment from Porsche. The Latitude sport is also approved Original equipment for a range of other high performance 4x4's including models from Mercedes, Porsche, Audi and some Range Rovers. For the highest performance 4x4 vehicles the Michelin Latitude sport NO is the reference tyre for the Porsche Cayenne and has been developed in partnership with Porsche over a number of years. 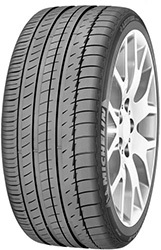 This edition of the Latitude Sport bares the NO marking on the tyre sideall indicating it's recommended status as original and replacement equipment from Porsche. The Latitude sport is also approved Original equipment for a range of other high performance 4x4's including models from Mercedes, Porsche, Audi and some Range Rovers.